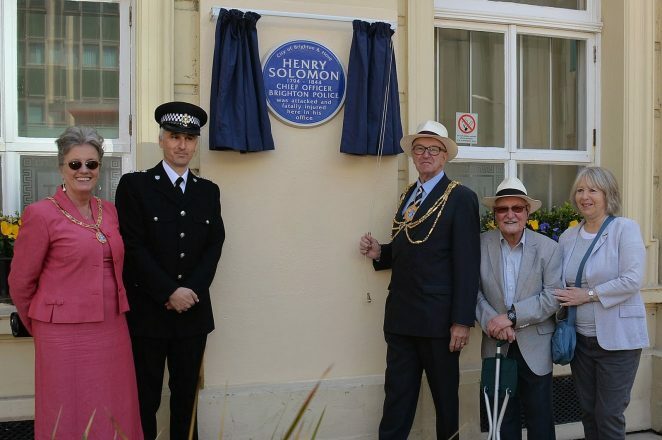 A blue plaque, dedicated to Henry Solomon (1794-1844), first Chief Officer of Brighton, (now known as Chief Constable) who was brutally murdered in the execution of his duty, was unveiled at Brighton Town Hall. 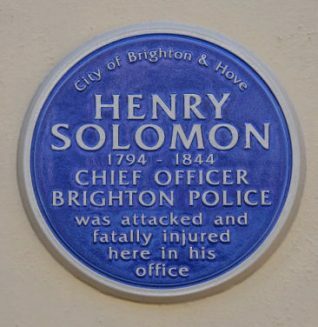 Solomon was a watchmaker by trade who moved to Brighton in 1821 where he embarked on a life of municipal service, becoming a police officer. He rose through the ranks to become Chief Constable, the most senior policeman in the force, on 18 May 1838. You can read about Henry Solomon’s life and death here.